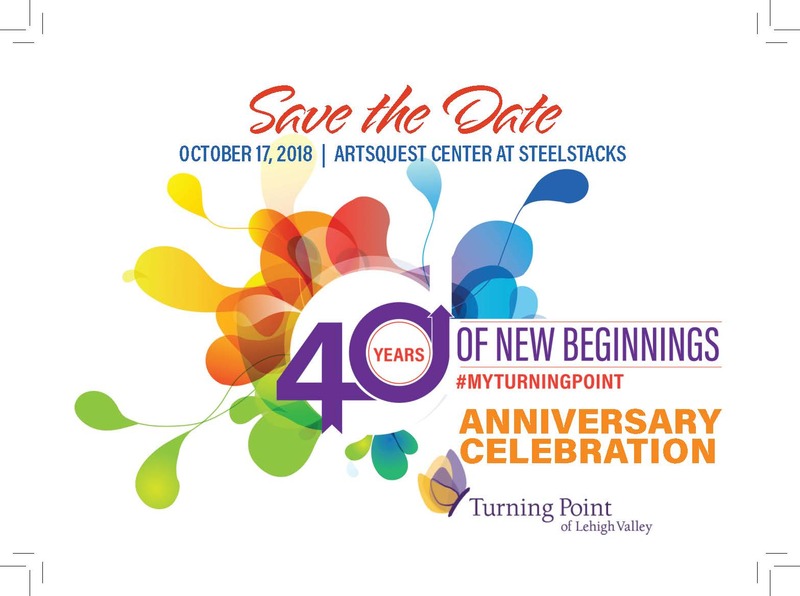 Our 40th Anniversary Celebration will take place beginning at 5:30 PM on October 17, 2018 at the ArtsQuest Center at SteelStacks. The evening will begin with a reception and program in the Blast Furnace room. Drinks and appetizers will be served while we debut our new video, share survivor stories and impart our awareness efforts. 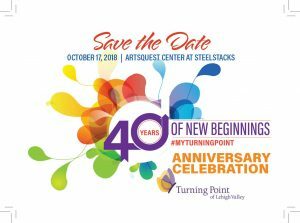 Immediately following the reception, Dina Hall and Quartez Larell will take the Musikfest café stage followed by our featured concert Swearigen and Kelli performing the music of Simon and Garfunkel.